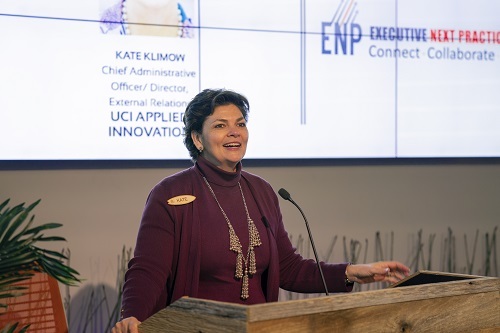 The Executive Next Practices (ENP) Institute recently hosted one of their ENP Forums at the Cove @ UCI Applied Innovation. 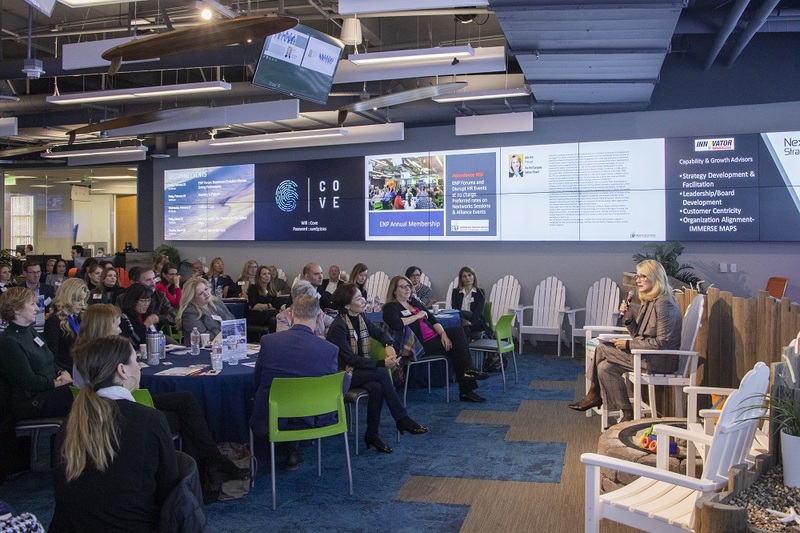 The event titled “Building Sustained Innovation & Growth: Strategic Partnering in 2019” centered on ways in which companies are enhancing their internal innovation efforts and building their disruptive competitive advantage. The first round of speakers from the Orange County area included Jerry Braakman, executive vice president, chief investment officer and managing director at First American Trust; Debbie Nix, vice president of human resources and risk management at Covenant Care; Feyzi Fathei, CEO of Corent Technology, Inc.; and Shawn Dougherty, COO and founder of EXOIO, and Applied Innovation board member. Each shared stories of leveraging innovation to continue growth, the hurdles faced when establishing a culture of innovation and the successes made possible by thinking differently. Following the first four talks, attendees participated in a brainstorming workshop, creating a collaborative and engaging environment with professionals from disparate industries – a staple of ENP Forums. After reconvening, Kate Klimow, chief administrative officer and director of external relations at UCI Applied Innovation, and chair of the Greater Irvine Chamber of Commerce; and Linda DiMario, executive vice president of the Greater Irvine Chamber of Commerce, inspired the attendees with their own reflections. 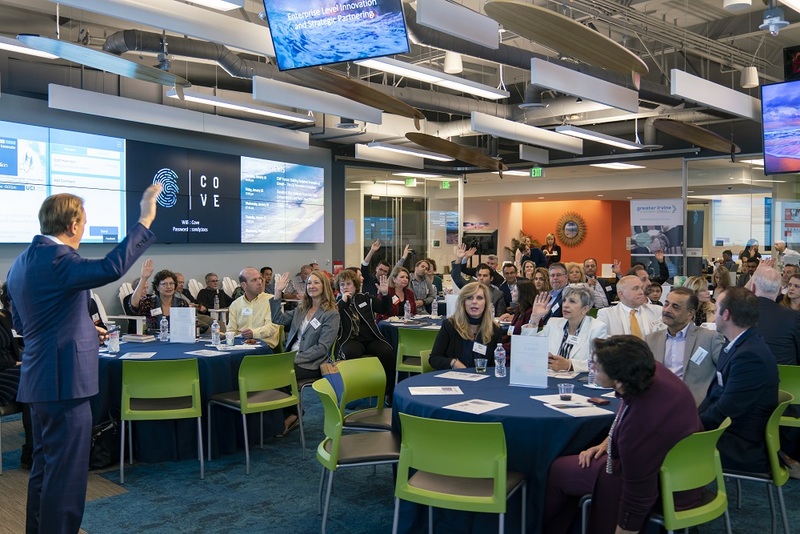 For more information about Applied Innovation’s ecosystem partners and upcoming events, click here.